Lifestyle Solutions Commitment is the Start to Weight Loss Success! Start with a realistic plan. I will look at my weight history, my diet attempts and failures, and figure out what is realistic for me. I will be a learner, forget my past failures, move forward and practice the same kindness with myself that I would give others. I will have a heart that accepts that it will take time and effort to learn lifestyle solutions, and develop healthy diet habits. Eating success means that I might be changing some things, giving up some things, adjusting and adapting, and developing a new way of eating and activity that will be for long term health. I will accept that I am the only one in charge and the only one who can do it. It will be my plan and no one else’s. I will take charge and set my own goals, and develop my own support system. It is my opinion and likes, that count! I must be flexible and realize that life has detours and that slow and steady wins the race. There will be mistakes, days when I do not exercise, or eat messed up meals, but this is a forever plan. I will expect detours occasionally, and roll with them. I must live in the now. Life will not change on the inside if I lose weight. If I am unhappy now, I will be unhappy thinner. I must deal with my life stressors now, rather than when I am thinner and live healthy in all areas of my life now, including developing positive self esteem! 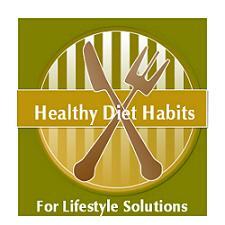 I will learn lifestyle solutions for my unhealthy diet habits and find ways to practice healthy diet habits. This may mean learning to use the hunger chart, journaling, working on my stress and emotional and mindless eating, and areas that are hard for me. I will learn to add more exercise and movement into my life! I am ready to start changing my life and adding lifestyle solutions!